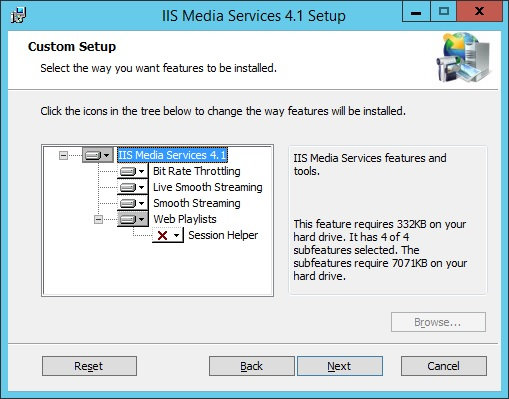 The streaming media services broadcast recorded sessions from the streaming host to the client's browser and video player. The installation of IIS media services requires a basic installation of IIS to be available on the same host server. 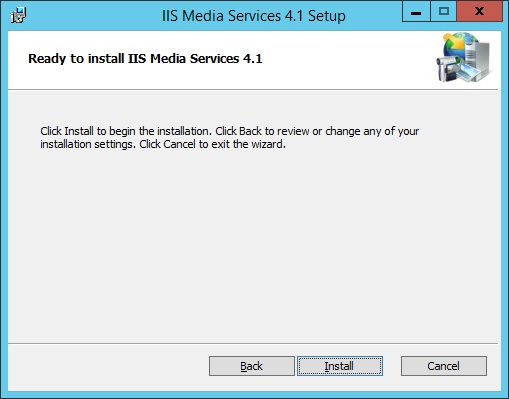 To begin installing the media software, open the SupplementalInstallers sub-folder from the installation directory, %ProgramFiles (x86)\Lieberman\Roulette. 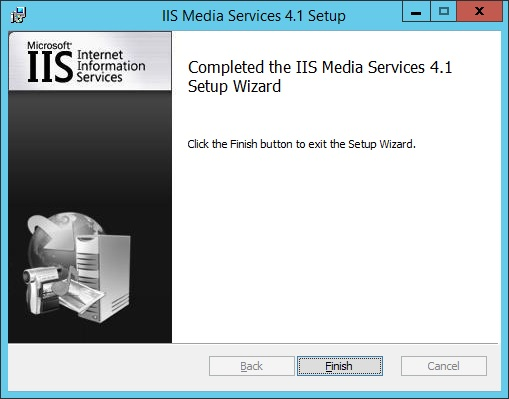 Copy IISMedia64.msi to the machine functioning as the streaming video server, and launch the installer. 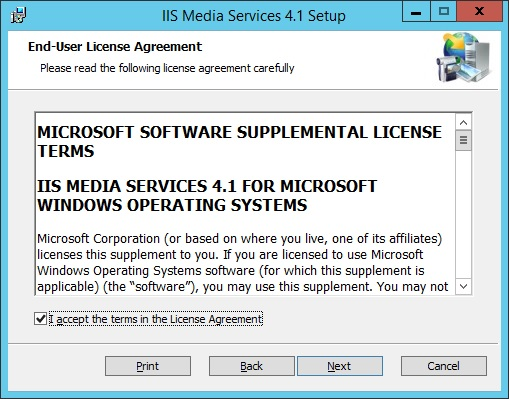 Read and accept the terms of the license agreement. Click Next. Leave the default options selected. Click Next.